We all know that OnePlus 6 is an incredible high-end handset, but does it have the bits and bobs to rival the cream of the crop that is iPhone X? Let’s see together in this detailed OnePlus 6 vs iPhone X comparison. At the time of this review, the price of OnePlus 6 was $629 for 8GB/128GB, $579 for 8GB/64GB and $529 for 6GB/64GB variants. As for iPhone X, the 64 GB was priced at $999 and the 256 GB was priced at $1149. The OnePlus 6 is the best release so far by OnePlus, but how does it compare to the iPhone X? Well, but appear similar but are quite different under the hood. In this post, we look at the price, specs, features and design of both OnePlus 6 and iPhone X to see which one is better. It was a well known fact that the iPhone started at a price of £999 or $999 set by Apple. However, the OnePlus 6 has a price of £469/$529 direct from OnePlus. Where else can the OnePlus 6 and iPhone X be purchased from? The £999 iPhone X has a 64 GB storage capability, similar to the £469 OnePlus 6. In addition, the iPhone X is available with all operators in the world, such as AT&T, Verizon, T-Mobile, Sprint, Xfinity, Vodafone, O2, Three, EE, etc. You can buy it directly from their website. 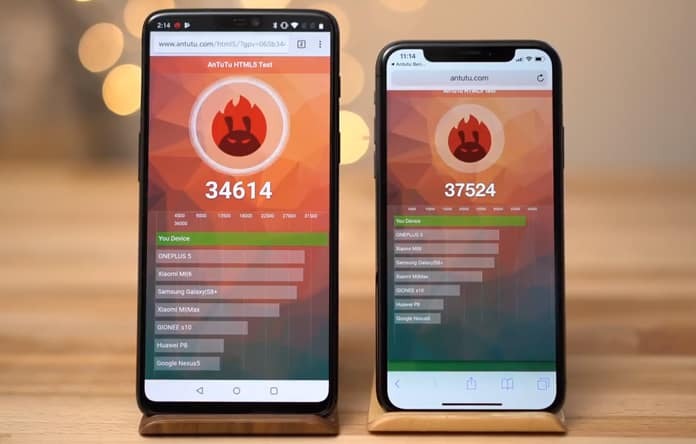 In this case, we can see that the OnePlus 6 quite easily comes out on top. The iPhone X is more than double the price of the OnePlus 6 but offers similar storage, so it is clear that the OnePlus 6 holds an advantage in this category. 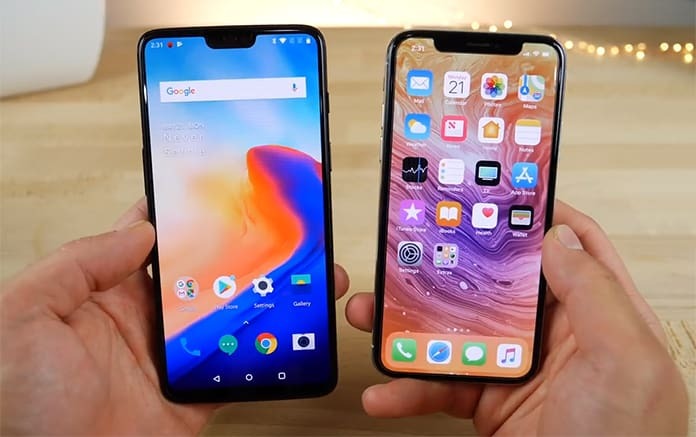 At first glance, it is obvious that the most glaring similarity between the two is the notch in the phones. The iPhone X was quite keenly credited with introducing this trend to the market and it has been widely perceived that Android phones just copied the feature. However, in reality this isn’t exactly the truth, since the OnePlus 6 has a software option available to hide the notch, which is impossible on the iPhone X. In addition, the iPhone X’s notch is a little larger in size but frankly, this design feature isn’t that much of a deal breaker between the phones. Both devices have glass on the back as well as the front which means that they are much more delicate and fragile than standard metal body phones. As a result, it might be necessary to have a case put on both of them. Apple in particular charges quite a hefty sum of money to fix broken or smashed glass for the iPhone X. Along with this, both of the phones have vertical dual cameras on the backside, with the OnePlus’ centrally located and the iPhone’s more to the left edge of the device. Both of these phones have camera bumps that are quite similar in their size and while this can prove to be somewhat of an annoyance there is at least the assurity that the cameras will be excellent. Moving on, the iPhone X’s display is predictably very eye catching since it extends all the way down to the bottom part of the device, which is not something seen that often elsewhere in the market. Numerous Android phones with notches have to compensate by having large chins at the bottom to provide space for the internal components. This effect isn’t that pronounced in the OnePlus 6 but it is still noticeable. The OnePlus 6’s glass is available in a variety of 3 different colors, ranging from midnight black with a matte finish, to mirror black, which looks like a magnet for fingerprints and lastly there is silk white, which even feels pearly to the touch. The iPhone X on the other hand has that same glass finish which is ever present no matter the color, whether it is space grey or the silver version. There might be more fans of the silver variant since it is so reminiscent of the original iPhone. If you really want a fingerprint sensor, then you should get the OnePlus 6, because the sensor at the back of the phone is extremely responsive and is just beneath the cameras. It can even be used to pull down the notification just a touch. This isn’t seen on the iPhone X, however, but Face ID itself is very accurate and functions really well; it is used in banks as a form of biometric identification for different banking apps. The OnePlus 6 also has a face unlocking feature but it cannot be said to be nearly as secure. The metal construction of the rim on the iPhone X definitely lends the device a more premium feel, along with the price tag. However, the OnePlus 6 cannot be said to feel cheap and definitely provides that premium feel as well. Both are definitely quite well designed phones and can be viable choices depending on the buyer as far as design is concerned. At release, the OnePlus 6 is as high end as an Android phone can be, since it has a Snapdragon 845 processor, a choice between a 6 or 8 GB RAM, 64 or 256 GB storage and dual cameras with OIS. The iPhone X is also quite similar with 3GB worth of RAM, along with a 64 or 256 GB storage, an Apple A11 Bionic Processor, the unique Face ID feature and dual cameras with OIS. As far as the screens are concerned it is possible to view everything either through the OnePlus 6’s 19:9 6.28 in OLED display or the iPhone X’s 19.5:9 5.8 in AMOLED display. Both of these are easily some of the brightest and most vibrant screens on show in the market but to be fair one could say that Apple’s screen finishes ahead narrowly. The reason for this is the True Tone technology which accurately and adaptively calibrates colors to provide an optimal viewing experience. This feature is definitely attractive but also means a very high price. 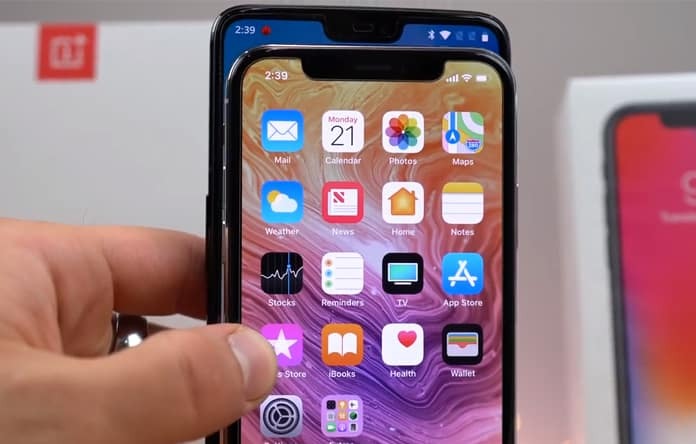 In addition, the iPhone X also happens to have 458 pixels per inch which is higher than the OnePlus 6’s 402 but this can also be attributed to the fact that the screen of the latter is larger. The OnePlus 6 is definitely taller as well as wider than the iPhone X but both happen to have identical thicknesses, at 7.7mm. However, the large screens don’t feel like an annoyance due to the high aspect ratios which means that neither one of these devices will feel uncomfortable in the pocket. What we have seen till now is that both are quite similar. 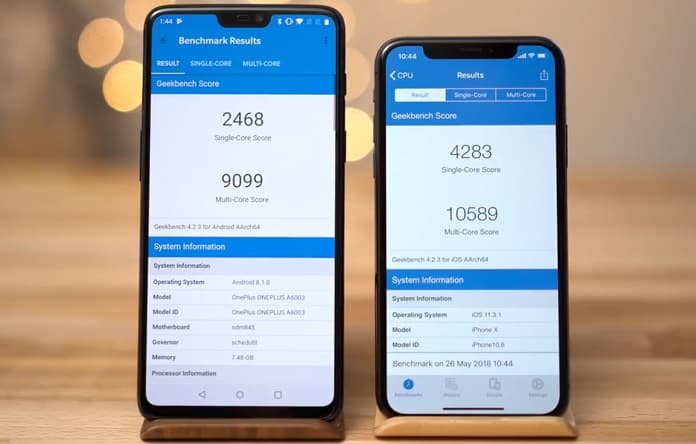 Yes, the iPhone X is a more premium device and it also scores better on benchmarks tests but to be honest there doesn’t seem to be that huge a gap between the two. 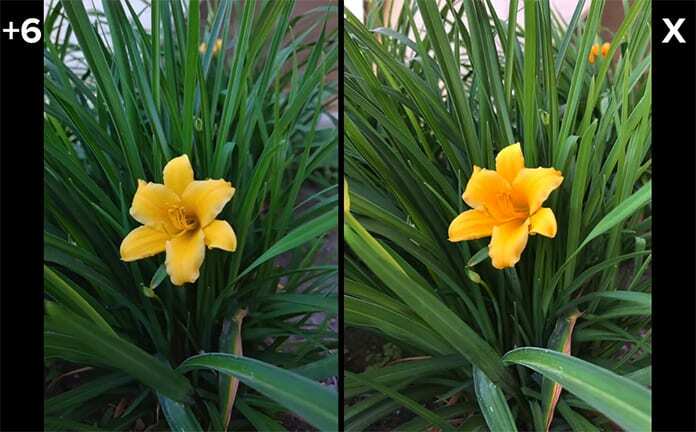 We also see that both phones are capable of handling portrait mode, but it would seem that the iPhone X has the advantage in this regard. With the OIS on the main sensor on the OnePlus 6 though, the photography set up is the best seen on a phone yet. However, Apple really came out firing on all cylinders where the camera was concerned. The heftier price tag of the iPhone X does reap rewards in the form of wireless charging and waterproofing, where OnePlus 6 has neither of these features. However, it does have a headphone jack and for some people that might be a feature that trumps the other two. It is actually all about priorities. What Differences are There in Software Between the OnePlus 6 vs iPhone X? The choice left here all comes down to whether you like the iOS or Android better. It is true that iOS 11 is great and along with gesture controls on the iPhone X one could say it is the best version of Apple’s operating system yet. However, OnePlus’ Oxygen OS Android skin also is brilliantly sparse and is very similar to the stock Google version. There are useful things like grey scaling the screen to read apps and do not disturb for gaming sessions which feel like a blessing. In addition, there is the choice to go for gestures on the OnePlus 6 which is kind of similar to the iPhone X, with a few differences. However, you retain the ability to use normal Android buttons, unlike the iPhone X. Also, Android deals with notifications quite well by grouping them into easy to manage lists and in order of priority as well. The iPhone does not don this and lets them stack up until it all becomes too much. Overall, upon closer inspection, the Android software seems to take the cake. The decision for which of the two to buy boils down to the simple question of which software you as a user prefer. The iPhone X is definitely the most desirable Apple phone till now with its exquisite design and very high performing specs. The OnePlus 6 on the other hand, is the same for Android and also has a very premium design. What could be the biggest plus point is that it costs less than half of the iPhone X, which is huge. At the end of the day, the choice really lies with you alone.